In the story headed ‘˜The Growing Challenges’ featured in this edition, Dave Scott contends that one of the challenges facing fleet management systems suppliers is to change the outputs of systems from data and information into knowledge based outputs. “Throwing data and information at drivers is meaningless,’ he says, contending that they need “knowledge’ that will, for example, help change their behaviour behind the wheel. This is what the operators need as well. As if anticipating this challenge, fleet management systems provider Automotive Control Systems (ACS) , which markets the Autotrak system – has spent the past 24 months planning, developing and testing a simple yet effective Vehicle Behaviour Report as one of the value-added outcomes to its offerings designed to assist fleet managers and insurers manage their fleets more effectively. 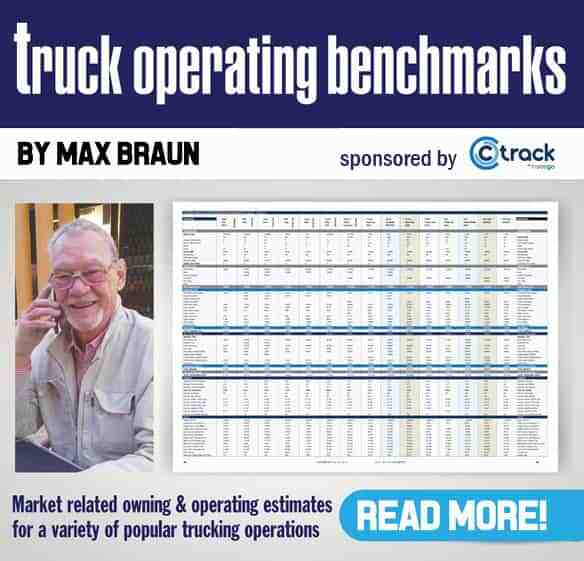 According to Dave Johnston, well known driver training specialist who has now joined the Autotrak team, the results of testing with a major insurance company have been most successful. “We have successfully taken driver training to the next level via the fact that fleet managers or insurance companies now have access to live ‘˜vehicle behaviour’ reports to determine whether a driver is high or low risk,’ he says, adding that the ramifications of this are huge in the ongoing efforts to keep drivers alive on the roads and greatly reduce vehicle operating costs. 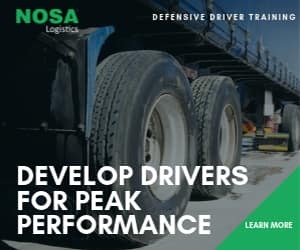 With these reports, driver trainers will have a more specialised tool in assisting drivers with their respective areas that need attention – as well as on-road testing. The majority of the training information will be available to Autotrak customers on the Autotrak website and specific driver training modules to address different areas of fleet management will also be available. The thinking behind the development of these reports came both from a desire to add knowledge value not only to Autotrak’s fleet own customers but also to the insurance industry which often has no idea what the risk is when they insure a vehicle or a fleet. “Apart from claim free ratings, premiums are based on averages and when there are claims, obviously the premiums and/or excesses go up. But often that is too late because the damage and loss of life has already taken place. These new tools now allow insurers, brokers, loss adjusters and fleet managers the opportunity to take action before the loss takes place,’ says Johnston. The entire Vehicle Behaviour system has been designed around a simple presentation rather than reams of data so as to make it easier for drivers to interpret. The end report is based on ‘˜smiley faces’ in different colours – Red is High-Risk, Orange is Medium-Risk and Green is Low-Risk. The criteria of evaluation is structured around driver behaviour patterns such as exceeding the speed limit, harsh acceleration, harsh braking and other exceptions to professional driving standards. The overall score is then based on the number of exceptions over the distance travelled. 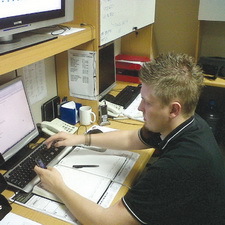 “Any efficient fleet owner should ensure all their drivers habitually generate ‘˜green’ reports. Apart from the saving of lives, the financial implications are substantial,’ says Johnston. According to Johnston, recent tests of randomly picked vehicles from a major insurance company showed varying results with some drivers being in the green lowrisk area, more in the orange medium-risk area and even more in the high-risk red area. The worst Vehicle Behaviour report showed a 442% error where 0% would be an exceptionally good driver. No insurer would want to insure a vehicle where the report is in the red. The Vehicle Behaviour module is available with the company’s entry level fleet management system, Autotrak Alert+, and upwards. “Since the inception of Automotive Control Systems 16 years ago, the company has prided itself on staying technologically ahead with quality products and exceptional service,’ says Dave Winsper, managing director of Autotrak, adding that this is just one of the many innovations designed to add value to its clients. Another area of success has been in working with clients to minimise fuel theft. An interesting case in this regard lies with Buscor where fuel theft at one of the company’s depots resulted in their fleet being fitted with ‘˜real’ time fuel monitoring devices from ACS. “Buscor anticipated a monthly saving of R350 000 but this figure was exceeded when the actual savings equated to R600 000,’ says Winsper. Now that’s really adding value to the bottom line.